Joseph’s soft pink hue of a pearl exudes elegance. Ranging qualities can give a white, pink, yellow, blue, green, or even black appearance. 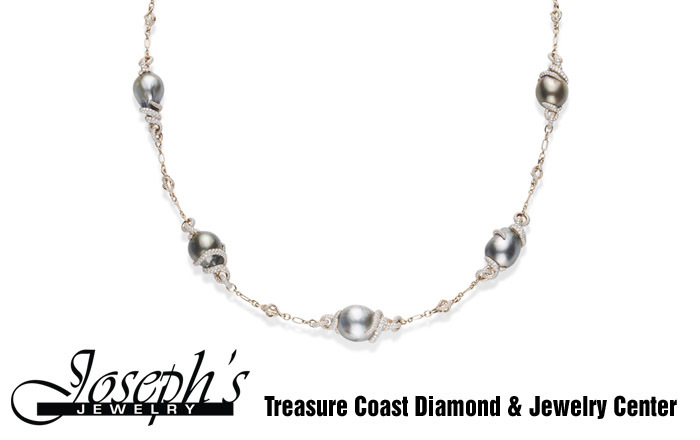 Josephs Jewelry carries a wide variety of pearl jewelry including fresh water cultured, Tahitian, and Akoya pearls. Although pearls are beautiful, they are also quite delicate. A common saying with Pearl jewelry is “Last piece on, first piece off.” Joseph’s Jewelry is the premier location for Pearls on the Treasure Coast. From custom creations to designer favorites, we can take care of your every need. 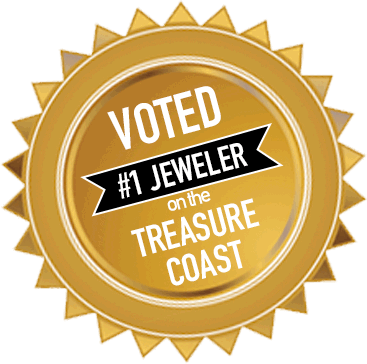 Check out our website for more information Pearl jewelry design, and repairs from the Number 1 voted jeweler on the treasure coast. Freshwater pearls are the “odd man out” of cultured pearling as they are not produced by the oceanic Pinctada family of pearl oysters. “In fact, they are not produced by an oyster at all. In China, most cultured pearls are farmed in varieties of freshwater mussels such as Hyriopsis and Cristaria. Each shell can produce up to 100 pearls simultaneously. Although originally produced in Japan, over 90% of the world’s freshwater pearls now come from China. Most freshwater cultured pearls are nucleated with pieces of mantle tissue – rather than a round nucleus, which is placed directly into a mussel’s mantle to initiate nacre production. Mantle tissue is shell material that is recycled into the formation of new pearls. As with Akoya pearls, Freshwater pearls are not always marketable for jewelry in their natural state, and require clinical enhancements such as bleaching, coloring, and polishing. Traditionally, most cultured freshwater pearls grow in irregular shapes from near round to oval, between two and five millimeters in length. With improving production techniques, China now produces round white freshwater pearls up to 12 millimeters that compete with Akoya pearls for size and general appeal.